What Our Clients Say About Us | ARINGO consultants are the top in the world! Of course you should not just take our word for what we can do for you. Instead, we really do believe that our clients say it best, so why not hear from some of the people who already know what ARINGO can do for business school applicants? Here are some of the things previous ARINGO clients have said about us, but keep in mind that the ARINGO testimonials below are just a few of the many positive ones we have received over the years. Thank you very much for the professionalism, accuracy, and efficiency. Thanks so much for the care and personal attention I received from staff members. The practical and positive approach has proven itself. Despite the frustration that I carried with me from other consulting firms, you succeeded to procure from me the submission that made all the difference in a fast and accurate manner. I could not have done it without you. I really enjoyed the personal treatment I got at ARINGO, right from the first contact you make they give you professional advice about how to proceed at every stage. After the initial orientation you get assigned to a specific counselor and begin the process of writing your application. My counselor was excellent and gave me very valuable advice and answers along the way. I’d like to take the time now and say thanks to ARINGO! The services you provide are indispensable, and I think, like I’m sure that many of your clients do, that I couldn’t have been admitted to INSEAD without you. Further, I would like to express my sincere appreciation and gratitude to Danielle Marom. She has put a lot of effort in my application to INSEAD, and my personal story was reflected in the essays in the best way I can imagine! One point that is, to my mind, the most important one about Danielle is her commitment. Though she was heading to the US for a private vacation towards the application deadline, she’s still polished my essays up until a few hours before her flight. As a customer, the time before the application deadline is the most sensitive one, a time when although the application is 99.9% done, you feel you can’t really settle for less than a 100%. I want to thank you very much for your dedication and professionalism throughout the process, from developing a strategy till choosing Wharton, from among a number of leading programs to which I was accepted. I have no doubt that you had a significant part of my success. The demand by Israelis for top MBA programs increases each year, and with it, steeper competition. With this, Laine and the ARINGO team were not afraid to deal with the weak points in my application and to find solutions, and all without trying to embellish reality or distort the facts. I think this is one of the differentiating factors between ARINGO and its competitors. Special thanks to Lainie, that you chose to go with me and the truth, and despite the difficulty, you lead me to success. Thank you for giving me the feeling that you are the only customer though there are many more. Thanks to the editors, uncompromisingly professional, which often succeeded to amaze me with their editing abilities and their warm and human attitude. Your part in my acceptance to Wharton, Chicago and Michigan (with scholarship) is huge and I am wholeheartedly satisfied with going with you on the way to an MBA. Thanks for the help and cooperation. I received from you guidance rare in its quality and the results are in accordance. The guidance, professionalism and rapid response made the difference and are admirable. We spat blood together and I was a tough customer, but I have no doubt that the results speak for themselves: I was accepted to four schools out of six (Darden, Duke, Cornell, MIT), some with scholarships, and I am still waiting to hear from Wharton. Looking back, I have no doubt that the huge investment on your part caused great results and for that, my gratitude. And to your future customers – do not be afraid to demand exactly what suits you and I promise you will get it! Do not spare the money and time because above everything else, only with 100% commitment can you get through this challenging process. As someone who tried to get accepted alone and failed despite excellent credentials, I saw with my own eyes how the application that I built with your help was more focused and emphasized my strengths. Your preparation has enhanced my interview abilities amazingly. Most importantly, along the entire way, you demonstrated support, encouragement and faith. The investment in ARINGO paid off big time – I was accepted to the only place I applied. You without a doubt have a crucial part in my acceptance to study at UCLA. Many others have testified to your professionalism, and I certainly agree with every word written about it; But an equally important thing I want to emphasize is the honesty you have manifested all along: the first time I contacted you, you made it clear to me that along with the many advantages of an MBA abroad, there are also disadvantages, and you asked me to think hard if it the appropriate track for me; when I debated the choice of schools, you made sure to clarify for me the chance of admissions and you helped me make a wise and judicious decision that has proven itself; and while working on the application you knew to tell me that “it’s still not good enough “even if it was not really what I wanted to hear. All in all, working with you has allowed me to make informed decisions, extract from myself the most, and most importantly – to be successful. I received an acceptance from Harvard. I am excited to tell you this as partners in this major achievement. I could not have done it without you. Who better than you know that I was a difficult client (to say the least …….). I turned to you after a lot of research in the field with very high expectations and demands. I could not have expected more. The professionalism and vast knowledge that you demonstrated in combination with incredible warmth and humanity, made the admissions process all the more pleasant, less stressful, and accompanied by a sense of security that I am submitting the best application I can. I did not have to get a positive answer in order to thank ARINGO. I knew all along that if I am not accepted, I received from you the best guidance an MBA candidate can get. A thousand thanks for the entire period you guided me. I came across Aringo while I was searching the internet looking for an mba chances calculator. Aringo provide a very useful and comprehensive free tool that assesses your candidacy into your mba program of choice. From there, I had my initial phone consultation with Chaya, the company CEO, whom was very generous with her time. At the time, I had a 640 gmat and having spoken to several other consulting firms, they were reluctant to start working with me until I improved my gmat score, given that I was targeting only the top 5 MBA programs in the world. Chaya on the other hand, whilst still believed that it was a long shot for me to get accepted into my dream schools, decided that I should proceed with an hourly package to at least start working on my applications. Chaya recommended a few consultants, and I ended working with Prithvi, an HBS grad and a tech entrepreneur. I applied to Harvard, Stanford, Wharton, MIT, and LBS, and got accepted into each of Wharton, MIT, and LBS. I have enrolled into Wharton and look forward to start the program this coming fall with the class of 2020. As I’m doing my final preparations before traveling, I wanted to thank you for all your help in the last year. I’ve looked over my applications, and it’s clear how much you helped me understand myself better and present the best version of myself for my dream schools. It would not have ended as it did without you, and I am grateful for your help. I really want to thank you for the support, guidance and most importantly for the results. Lainie was just amazing to work with, I feel that she really managed to help me represent myself in the best way possible. Throughout the process she was always there for me, brainstorming ideas with me, connecting me to relevant people and making me feel as I’m her only client (I wasn’t). Aringo has an amazing process, making sure that the application submitted will be in its best form. In retrospect, after getting into a couple of top schools, and receiving a significant scholarship from one, I couldn’t be more satisfied with the results. Joy, I’m on a plane right now heading to Seattle, and I wanted to say thank you. In January we set up a tough challenge – to get admitted into an MBA program and start it this year. You helped me get things in order, understand where I stand and use all the resources to succeed. Working with you was pleasant, thorough and inspiring. I’m so glad that we’ve met and I’m sure many others will enjoy working with you! It was intens and fun. That’s it, I’m going to school 🙂 Thanks again! The demand for top MBA programs increases each year, and with it, steeper competition. With this, Laine and the ARINGO team were not afraid to deal with the weak points in my application and to find solutions, and all without trying to embellish reality or distort the facts. I think this is one of the differentiating factors between Aringo and its competitors. After receiving rejections on my first round of applications, I decided to start working with Aringo, in the goal of finding a different approach and be accepted to a top school. I was so lucky to work with Lainie as my consultant. Not only was she was extremely professional, but also very supportive throughout the whole process. From day one she set clear time-lines, was very attentive and revised my essays and resume as many times as needed. This was very important to me. In addition, the whole team of Aringo was exceptional. Shimri always let me feel as if I was their top priority, and everyone gave me the best and most professional interview preparation. Personally, I recommend Aringo to anyone who starts this process. You all were so willing, attentive and professional in carving my path to this MBA. I have no doubt I wouldn’t have done it as well without your dedicated help. The entire team’s personal, caring and authentic support was felt from the very start and so the process was positive in addition to it being so effective. I would recommend these services to anyone who has their heart set on a specific programme that is hard to be accepted into. Lainie is the best consultant that I could have asked for, and she was the perfect match for me (with that being said, three friends of mine worked with her in the same season and they will tell you the same). Lainie was there not only for the a professional conversations that helped my arranging my ideas and improve my essays, but also for personal chats that relaxed me before the deadline. She was there to revise the 20th draft of each essay and also to connect me with her previous client to brainstorm some ideas. Throughout the process, Lainie was very open-minded, patient and attentive, and always had a creative idea that brought an added value. She is a true professional! Lainie, I would like to thank you for your help along the way, which eventually led me to Booth with a full scholarhip. I know that the result wouldn’t be the same without your help. And for those who are still deliberating, if you feel that you need some guidance, I can honestly say that Lainie kept to her word from our first meeting – she helped me “bringing my better self to paper”. Thank you Lainie, and we’ll keep in touch. I want to thank Prasanth for not only getting me into Harvard, Columbia, and Wharton, but also making the process smooth and fun. After a long journey that lasted over a year, I submitted yesterday the application for Columbia, the last program i’m applying this year. Although the journey isn’t over yet, i feel and want to thank my best companion through the process. You probably know her 🙂 Its Danielle! Let me start by saying that she is the BEST!! I have no doubt that my application would not have been so amazing without her. She always knows how to best approach each essay, what’s the right location of every word, and how to add each question the final winning touch! Of course, I’ll thank her personally when this journey will end, and no matter what the results will be, I know that Danielle did an excellent job and i’m deeply appreciate all the efforts and the work she invested until the small hours at night. I think that when a person works hard he deserve the recognition and Danielle totally earned it! I am definitely happy with the results and I am really excited about the scholarships too! My application definitely would not have been as refined or polished without Lauren’s help. I really did enjoy working with her and thought she had very solid suggestions to my original essays. Given the short time frame I had to apply to the number of schools I did, I found her advice to be invaluable and she really helped me produce 2-3 very good essays/stories that I was able to shape and tailor to each school I applied to. I also really appreciated her quick turnaround during a particularly busy time (I started the week before Christmas but she never waited more than 48h to turnaround anything I sent her, and oftentimes would have it back even sooner). As you know, I applied to HBS and GSB last year without any help or direction and was not accepted at either. Although those two schools didn’t work out this year again (perhaps it might have been due to my reapplicant status / the fact that not enough has changed in the 9 months since my last application), I got into all the other schools I applied to for the first time with very generous scholarships, and I definitely don’t think my results would have been as successful without Lauren’s help. Beyond the essays, I also found her particularly helpful when it came to my resume. Before, mine read like a professional resume but Lauren helped highlight my most pertinent accomplishments / bring out leadership qualities while making it very accessible to an Adcom. She was also extremely helpful with regards to what qualities my second recommender should highlight after reading through an initial list of bullet points. 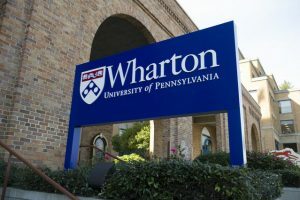 At this point, I am leaning towards Wharton although they only offered me $44k vs Booth at $80k and Kellogg at $100k. But based on my initial interactions with the student body and my understanding of the program, I think it is the best fit for me. I also heard back from MIT yesterday (I applied last minute and recycled an essay that Lauren helped me with), and was admitted as well! To keep things simple though, I have narrowed it down to Wharton vs. Booth and will be attending both those admit days. Again, thanks for recommending Lauren – she was great to work with and I am more than happy to answer any other questions you might have. Hadas was a great consultant for UCLA. I thought she was very intuitive in grasping things and asked a lot of probing questions based on what I was telling her which helped her tailor my resume/essays even better. I feel like Hadas found many ways to improve my resume and just quantify things to give me credit for what I did. I feel like I was almost being too humble in some cases! Also her essay helped add some some personal touches to why I really want to go to UCLA and she helped tie my background into the essay which was good, but focused a lot on my future goals without connecting the two. Ann is great! She is very professional and considerable. She masters strategy thinking, excellent writing skills and time management skills. She does help me a lot. I would like to recommend Ann and Aringo to more friends for sure. I am SO EXCITED!! Can’t believe it’s real, so thrilled for what the future has in store. Tim is nothing short of brilliant and an amazing at what he does. I can’t thank you enough for encouraging me to partner with Aringo and for pairing me up with him. Not only did he know the right things to do, he was confident about it and that in turn translated to confidence for me in my interview. Joy, thank you so, so much for being patient with me throughout this whole process…seriously. I learned so much about the application process and grad school in such a short time span, all on the fly, and I know that it probably drove you a little crazy as much as it did for me with all the different choices and possibilities going on. I seriously underestimated the work that was needed in the beginning for every piece of the process and did not always have the best schedule to accommodate to it appropriately. Now, I absolutely know. So, again, thank you, you are the best, and I feel great about all the work that has been done. You’ve really made a difference. I am excited to let you know I have been accepted to my number one choice! I wanted to thank you personally for all the hard work. I am aware that it is your job, but you have been phenomenal in every aspect. Thanks for putting up with soon to be deadlines, the swift responses, the attentivness and the outsanding ability to magically turn a plain text into a Mark-Twain-Like novel. Thanks very much for all the support and guidance you have provided throughout the application process, which most can agree is one very stressful period of 3-4 months. Everyone at Aringo has been very prompt and professional with his/her response and that is just the kind of team you need to work with while multi tasking with applications, work and other activities. Danielle’s commitment and dedication to making sure I received timely feedback and smart suggestions was second to none and her patience to deal with me (I know I can be quite particular about the smallest seemingly useless details!) ensured I was satisfied with all my application submissions. Even the support for the interview – that Shay provided – was exceptional. He took his time to hear me out and really understand the areas I could improve upon. Prithvi also gave me very valuable insight into my application as a whole. I would like to thank all Aringo team for the support and hard work. Combining workload, GMAT studies and Application Essays to attend the deadlines was a really challenge. I ultimately got successful thanks to the Aringo team. I appreciated the opportunity to work with high level professionals what allowed me to deliver high quality materials in the applications. Danielle has been amazing and such a great help – so grateful to have had the opportunity to work with her. Even if it takes me some time to find work in Paris I know have a CV and cover letter that’s of a much higher standard than before. Been a most worthwhile investment. Just wanted to pass on a thank you note for the efforts you guys have put in to ensure I get an admit from Kelley School of Business. Your constructive feedback for my essays, recommendation letters and resume were outstanding. Getting into a top 15 business school was my dream and you guys made it possible. Thank you very much again and wish you all the very best for the future. I highly recommend working with Aringo’s team of experts. The team was professional and skilled, offering focused and effective help in various stages of the application process. In addition, I wish to acknowledge the personal attention and care I was lucky to receive while working with the experts in the late hours of morning and evening and under time pressure. Many thanks for your help throughout my application process. I appreciate your dedication and professional guidance along the way, from an initial brainstorming session to your essay reviews and interview preparation. You definitely played a crucial role in my acceptance at INSEAD. In particular, a big thank you goes to Sriram who was nothing short of fantastic. He was always responsive and helpful whenever I needed advice or guidance. His feedback on my essays was very valuable and enabled me to create high quality essays. Also, the mock interview really helped me prepare for the interviews in terms of refining my story and making more substantive statements on my most important selling points. Based on my outstanding experience, I truly recommend Aringo to all MBA applicants!!! I’m sending this email to express my utter appreciation for the amazing work you have done, so thank you! Thank you for never getting tired of redrafting my essays. Thank you for making me feel fortunate to write my HBS essay when I couldn’t bear the thought of writing another essay from scratch. Thank you for helping me apply to 6 different top notch schools in the first round, even though at times I didn’t believe it would be possible. Thank you for your first rate writing and counseling skills. Thank you for helping me get 5 interview invitations. Thank you for your availability, helping me with my post interview reflection essay with no advance notice. Thank you for helping me get accepted to HBS(!!!!!) and CBS (with decisions yet to be received from 3 other schools). And most important – thank you for being you! No matter what you say – I really couldn’t have done this without you! I do not know how to begin to thank you for the past year. Beginning from the phone call and the first session to numerous phone calls and huge numbers of emails. Special thanks to Yigal for the endless amounts of correspondence and edits at a level I was not aware of. I have to say that my first essay I received back left me with an open mouth. Afterwards, I already got used to the “magic” Yigal could perform on essays, this without changing the content t all. Also, throughout the process Yigal provided many ideas and know-how to extract from me the information most vital for the essays. It is evident that this process is a profession for him and it is easy to detect his vast experience in the field. In addition, Yigal and Karin knew to give support exactly at the right times, even on the phone when necessary. I want to thank you deeply for the whole process; there are no words to describe the value of the help you provided over the past year. This is the time to thank you from the bottom of my heart. I cannot tell you enough how instrumental you were for my success and how much I loved working with you. It was apparent to me from the start that your editing was a lot more than just correcting grammar or styling sentences; You put a lot of thought and effort into making my essays shine in every possible perspective, and you poured into them tremendous knowledge about each school. It was moving to see how truly invested you were in my success and how hard you worked to help me achieve my goals. You truly cared. It was also obvious that you love what you do. T H A N K * Y O U * L A I N I E! If I had to go through the registration process alone, I have no doubt that the result would not have been so good. Even though English is my native language, just by reading some of the first essays I wrote, it is clear to see how far I was. Lainie walked me through the entire process, from choosing the schools, reading essays questions, searching for interesting topics to write about, rejecting irrelevant topics, rewording again and again. I kept wanting to go over it again and improve, and Lainie was always willing to help and meet the demands of my often exaggerated perfectionism often exaggerated, and tell me when changes I prepared for hours were worthless. At the end of the process, I feel that the essays that I submitted, also to the schools that did not accept me, reflected very well who I am and I could not have written them better. Although the process was long and difficult, ultimately the goal was achieved and I gained a comprehensive lesson in writing essays and resumes, which I have no doubt that I will use a lot in the future. The ARINGO team and the support given to me since the day I signed up on the site, always made me feel that I was being helped by people who care about my success. They connected me with people when I had questions, I received feedback from alumni from all the universities to which I applied, and they helped me prepare for the interview. Two weeks before the start of our MBAs at Chicago Booth feels like the perfect time to sum up nearly a year of working with the amazing Aringo team. Applying for an MBA as a couple was accompanied by quite a few speculations and concerns, the odds being low for even a single candidate to be accepted, but thanks to professionalism and uncompromising quality (which sometimes kept us and our amazing advisor Elad up late into the night), we realized a dream that few achieve. To be accepted as a couple to three excellent schools (INSEAD, NYU Stern and CHICAGO BOOTH) was beyond our expectations and allowed us to choose where we want to spend the next few years, not a given privilege for a couple in this process. Thank you to the ARINGO team for the investment, availability, and amazing ability to turn any essay into a fascinating story within the given word count, and for the ability to listen and to accommodate yourselves to the pace, budget and personal style of each of us. We are confident we’ll recommend future candidates to employ your services to adjust their applications for the “big leagues “. Thank Elad, Karin, Laine and Joy. When I first contacted ARINGO, I asked to work with an INSEAD graduate advisor, and I was assigned to work with Eran. I really enjoyed working with Eran. His insights during the work process were exactly what I was looking for when I decided to use ARINGO. Eran focused me on the qualities and experiences that I need to demonstrate in every essay, and helped me to read between the lines of the essay questions. I strongly recommend other candidates to work with Eran. A few months ago I got a warm recommendation for you, and when trying to coordinate with you it became clear that you were overloaded and unwilling to compromise on the quality of the service you offer even at the cost of losing customers. The day after you helped me get in to all four schools to which I applied (Berkeley, Ross, Duke & UCLA), three of them with a significant scholarship, I’m so glad I waited for you. I want to thank you for the extraordinary professionalism, availability, flexibility to adapt to me and not the other way around, and sensitivity you have shown throughout the period we worked together. After completing the last application, I thanked you personally for the work together because I felt already then that regardless of the results, you helped me to get the best from myself. Special thanks to the amazing Karin who accompanied me throughout the process, listened to my speculations, and always knew to give the right advice at the right time. Thank you to the ARINGO team, and continue bringing as many students to leading universities in the world! I went into the process and working on applying with ARINGO with a little doubt. I did not know where it would lead,. Was it necessary, and I couldn’t apply by myself? The day we submitted the applications was full of relief and satisfaction, and I say “we” because the close work with Laine made the process “ours,” not mine. Lainie’s honesty and dedication made the difference and without a doubt I say now in retrospect that all the hard work we did was necessary and I would not have achieved the same results on my own. Thank ARINGO, Laine, and the dedicated staff. Now that we have succeeded in getting accepted to Harvard and Chicago, there is no doubt that you can sum up the whole process as a great success. You deserve a lot of credit, you thought Harvard was a possible target and you were right; you understand what they were looking for, and directed me there. I enjoyed working with you, there was good and effective cooperation. Thanks also to Lee, Karin and Gilam. The application process leading up to an MBA program abroad is not like anything I had known before. Besides the fact that it is lengthy and stressful at times, it is simply in a different language. We are not trained to present and market ourselves. In this game, when the competition is against people equally successful and impressive, ARINGO’s contribution is crucial. From strategy-building – marketing the story and aspirations of each candidate in the best manner, and selecting the most appropriate schools, through supporting the essay-writing process and interview preparation, ARINGO’s added value will differentiate between success and failure. Joy, Moshe, Karin and the rest of the ARINGO staff – huge thanks for the uncompromising professionalism, dedication and ability to see the big picture. I have no doubt that without you, I would not be ending the process with offers from two top programs and a full scholarship from Chicago. Thank you very much for all the help throughout the long and complex process of acceptance to an MBA abroad. I was awarded a 25% scholarship at Duke University, with my GMAT score being lower than the average at the university. I have no doubt that I could not have done it without the amazing Yigal who accompanied me throughout the process with endless professionalism and dedication. I am very glad that I chose ARINGO and I encourage anyone who asks me to choose Aringo’s services. Thank you very much for the support and close guidance throughout my long process to studies. I specifically avoided calling it “a long and tedious process” because for me it did not feel tedious at all (and I applied to 7 schools!) Quite the opposite, the repeated processing of my resume, recommendations written about me, reformulating my career goals dozens of times and every personal story that found itself on paper – all only strengthened my motivation and taught me about myself (as corny as it sounds). I was asked to address ARINGO as a team and not mention specific people, but I’m sorry – I did most of my work with Lainie, and I think she more than deserves credit !! Laine – The Incredible! I doubt I would have achieved my first choice without you (I was admitted to a special, only 50 student, Double Degree: MBA and MS in engineering with a very high scholarship). Beyond the professional aspect, I enjoyed working with you as a person. You know how to listen and respond, and succeeded in “squeezing” the maximum out of me. And thanks to all the other amazing ARINGO staff! After a crazy year of endless pressure and hard work, which has been fruitful, I would like to thank you for the personal guidance, professional work, patience and great support (even personal). Without all this, I have no doubt that I would not have achieved my goal and gained acceptance to the school in which I am interested. There are not enough words that can really express my gratitude. I had one goal: to get to INSEAD. And an MBA. I consulted with a number of consulting companies, some of whom tried to deter me from trying due to my age (37). In the end, I chose ARINGO and did not regret it! The service was remarkably professional and the help went beyond the usual work of writing essays. The truth is that when I started the application process I debated whether to seek help or not; today I have no doubt I made the right choice. It was an amazing experience and, in my case, it would have been really impossible to go through it without you. This process was unusually comprehensive, yet I was given the maximum flexibility that I felt I needed. I submitted in the third round, but I was confident being accepted to one of my first choices with your help, and I did indeed. Many thanks for the dedication. I will recommend you warmly! When we started, I had only a general idea of where I wanted to apply and I was quite skeptical about meeting deadlines and my chance for acceptance. You succeeded to channel my concerns toward structured progress and transformed an arduous process into a pleasant experience. A few months later, the results are far beyond what I could have expected – I was accepted to Columbia, MIT, Chicago and LBS, with a significant scholarship from Chicago. It never could have happened without your dedication, professionalism and support. Gwen – your wisdom, precise feedback, sense of humor and great coffee not only helped me to submit superb applications, but also changed everything I thought about effective writing and helped me to develop skills that will serve me in the future – and that is the real added value of your impressive work! Thanks also to Daniel and Tal for important insights and feedback provided in preparation for interviews, which helped ensure that my written application would be translated into acceptance messages. You are a real asset to any MBA candidate. Many thanks! I was accepted to INSEAD, and I want to thank all the people at ARINGO who helped me get there. I have to admit that before I started to work with you, I was skeptical about my need for counseling in order to get accepted, but after working with Ofir I realized I could not have done it without his help. He’s just a great advisor – he was available whenever I needed him, helped me improve my essays and helped me decide where to apply. I would also like to thank Lee, who took interest in my situation and always tried to help in any waay possible. Finally, I would like to thank Moshe, who met with me personally and connected me with (thousands?) graduates and students. I want to thank you so much for the long process we did together, and in the end, I was able to get into a program which undoubtedly was one of my favorites. You guided me with great patience and a willingness to change ideas throughout and also to involve outside help. You certainly helped me a lot and in a pleasant and confident manner. After nearly a year of hard work (mine and yours), I got into Wharton (in the second round!). I just wanted to thank you for guiding me through this long and challenging process (selecting the program right for me, helping me find my creativity and how to express it in the best way, and submitting essays polished enough before the deadlines) with a lot of patience, professionalism and excellent treatment. I am sure that our work together has made all the difference, and I know your efforts to manage the submission and edit the application made the end result possible. I heartily recommend your services to anyone who wants to be accepted to top schools. I still do not know where I will study but I already have in hand an acceptance with a scholarship to NYU, which is one of my favorite schools, and I am on the way to an interview in Chicago and I am already really excited. I do not only think but am sure that working with ARINGO jumped my application up several levels. During the information evenings and meetings with students I encountered others going through the same process. Immediately, according to the questions and the manner in which they responded to some of the issues related to the admission process, it was evident that they had not received help from a professional staff like the ARINGO staff. I stand before a major change in my career and Aring has substantial role in it. Joy was always happy to help with any questions or considerations I had. The criticism was always substantive and professional, in accordance with my expectations of the number one team for acceptance to the Top 10. I’d be happy to recommend the ARINGO staff and the outstanding work with them to anyone who asks. It is a little hard to grasp how, after a year of work, the results come within one week, matters are closed and aspirations come true, and yet – at the end of a long process I am happy to be in a pleasant state just before studying at the selective program at Stanford, with a few other offers in my pocket as well. In all the excitement, this is the time to thank both the process and your part in it: Tal was for me not only a consultant but a friend during this time, who knew the right things to say and to conduct a dialogue with me that did good things for the application and for me in the process. The willingness, perseverance, transparency, professionalism and honesty certainly did the job and contributed a lot to my ability to take my “story” and turn it into a coherent, professional, and convincing application, which did the work and brought me to the age of 24, with a degree from the Open University and without experience at a large investment bank – straight to the doors of one of the world’s most selective schools of Business Administration. Just a week before I take off to New York, I think it’s an excellent time to say thank you. Thanks for the support, dedication, patience and professionalism, without which I am very doubtful I would be now in the midst of packing towards the fulfillment of the dream. Like most candidates, the interview process was long and exhausting for me: I started not really sure to which school I wanted to apply and what was the necessary investment, and after a few months and applications I could dictate in my sleep what an admission driver is and the average GMAT at each university. .. Ultimately the applications I submitted focused on and only on the important things that matter, and it is largely thanks to the excellent and irreplaceable R & D and intelligence at ARINGO. Thanks to the tremendous assistance of the staff I was accepted to two of the five schools I contacted (with a scholarship to one of them) and I was invited to interview at two other. I would recommend to anyone who wants to be accepted to a school in the top 10 to do as I and go with the sure thing. Your dedication, professionalism, and unique working method made my application process pleasant, efficient, and most importantly, successful, and for that I will be forever grateful. Together we came up with a detailed and focused plan tailor-made for my ambitions, expectations, and hopes. Consequently, I was able to achieve my goal and was accepted to my top choice school. With so many MBA application consultancy services out there, I believe that ARINGO’s experience, supplemented by its ability to adapt to its clients’ specific needs make it the number one choice for MBA applicants. I started my first application three weeks before the deadline when I had no idea how to write an application. With guidance, ideas and your ability to understand the story I want to tell, I was able to write six applications in a little less than three months. Eliza, your wonderful editing capabilities enabled me to improve my stories and focus them on important points, and helped me to submit applications that I could not have written alone. Looking back, choosing ARINGO proved to be the best decision that helped me get into NYU, UCLA and IE, and receive invitations for interviews at IESE and Berkeley. The ARINGO team’s contribution has made all the difference for me. I strongly recommend to anyone who wants to be accepted into the Top-10 to enlist ARINGO’s help to fulfill the dream. Yesterday I read an essay written by an MBA candidate that discusses conflict and I noticed myself doubting its credibility when she mentioned that she was unfairly accused of being angry. I thought she was really angry and tried to cover it up in her essay. When I applied to Chicago, I wanted to write a similar essay. An essay about conflict in which I was the just hero. Eliza argued strongly that despite my explanations, the reader just does not believe that I was completely innocent. Eventually, 4 or 5 days before applying, Eliza convinced me to abandon the original text and write something completely different. In retrospect, I am convinced that it saved my candidacy. If I had written that essay I’m sure I would have been dismissed out of hand. Thanks to Eliza, I will begin to study at Chicago Booth in the fall. I have one message for candidates – even if you are wonderful candidates, a small fail can knock you out of the whole thing. Everything was worth it just for this. These words fall short of expressing my great personal appreciation. It is rare to find a group of people so dedicated, professional and caring. Every request was met quickly, and my comments were addressed and implemented. Your tireless efforts to improve the service that you provide through research and introspection confirms that you will continue to provide the best support possible for MBA candidates. In the end I was accepted to my first choice, Colombia, and offered a scholarship. It was a privilege for me to work with you. In January 2009, I will start to study at INSEAD. I was accepted to the only school to which I applied and I believe that a lot of that is thanks to you. Your contribution in planning a schedule, writing essays, and preparing for interviews was very helpful. I want to thank you for the support and help in the application process. I do not know how I would have been accepted to IESE without your help. The experience and professionalism you demonstrated throughout the whole process made me feel safe and in good hands all the way. As I write these lines I am still on the waiting list to NYU Stern, who knows maybe I will be accepted there as well. I fulfilled a dream which initially seemed so far from being realized. I still cannot comprehend that I am going to study in the Top 10. I highly recommend to anyone who wants to be accepted to the world’s Top 10 to use ARINGO, because their contribution in my opinion improves the chances of acceptance by many times. Thank you for everything. There is no doubt that with such a long (and expensive) process, it is worthwhile to work from the beginning with the most experienced professionals to get the correct advice. Your help has made the whole process much more focused for me and I am glad that in the end the goal was achieved! Thank you for teaching me how to play in a completely new and strange ballpark and to win. Thank you for showing me that you care about the process and the result no less than I do. Thank you for helping me get into several leading business schools with a scholarship. The major impact I experienced with ARINGO was the mock-interview, the professionalism of facing what seemed to be the right questions and the attitude followed by a constructive feed back really made a difference for me. Other than that, was the ability to capture the right experiences I had into the right MBA formula ARINGO- talents seem to have. The application process is definitely one of the most exhausting experiences I have been through. From choosing the appropriate schools, through writing rich but modest and most of all unique essays, to the provision of careful attention to every word and comma. If someone had told me a year ago that eventually I will have to decide between my first two choices, I doubt I would have believed them … I was accepted to INSEAD and Tuck. The professionalism of the consultants at Aringo and their familiarity with the process and its various requirements are priceless for those whose goal is to be accepted. There was no question to which I did not get an in-depth answer and with every deliberation (and there were quite a few like that), the relevant considerations were detailed before me. I remember almost a year ago looking at this page, wondering about the possibilities that would open before me. I was accepted to Stanford, Wharton, London Business School and Carnegie Mellon with a significant scholarship. I started relatively early (in May), and the work was very pleasant and not stressful. The cooperation was very productive and successful, and without a doubt, your help, especially the perfectionism reflected in the analysis of each and every word, was a significant factor in my acceptance. Aside the contribution to the application, I gained with your help many abilities I am sure will accompany me throughout my career. There is no doubt that for me ARINGO was a great choice! Thank you for the most professional, the most serious, and most thorough guidance that withstood everything – even my thoroughness! About a year ago I started a long and demanding process – beyond the desire to study, this was a journey – of self-fulfillment and career aspirations. I met ARINGO along the way – which quickly became a spin doctor in all aspects of the MBA admissions process. The road was not easy but I learned a lot from it! – On a personal level this is a process of development and growth and in the business sphere (we are all here for an MBA) -there is no one who cannot take some good principles from ARINGO for business success – you just know how to do the work and make it great! In short, I was accepted to LBS – a dream come true. When I decided I was going to fulfill my dream and move to the US, I had no doubt I needed help and moreover – I knew ARINGO was the right address. Indeed, after months of hard but enjoyable work I have no doubt that I made the right choice. Thanks to the help, guidance and professional editing, I succeeded in being accepted not only to one university, but three: Wharton, Berkeley and Kellogg, and also received a significant scholarship from Berkeley. I have no doubt that had I not received help from ARINGO, the result would be completely different and I want to thank the ARINGO team, without whom I would not have come so far. After scoring high on the GMAT test, I became interested in the possibility of getting into a top 10 school abroad (I was not ready to move abroad for less.) At the end of June 2007 I started working with you. At first you advised and directed me towards the schools right for me, then helped me choose a career direction and stories for the essays, helping me to refine my application, and finally prepared me for interviews that resulted from a good application. Today I am faced with completely different challenges and dilemmas – those associated with relocating and opening a new chapter in my life. With your help I got the opportunity of a lifetime and my goal is to make the most of it. I would like to note the strategic adviser, for the guidance; the responsible service, the patient and thorough investigationt; And above all – the editor, for (among other things) professionalism, patience, encouragement, and responsiveness in pressing times. I think for anyone who is spending 120 to 160 thousand dollars of his own money or taking a huge loan of that amount to invest in MBA studies abroad for himself, should consider investing in resources (of various types) also to increase the chances of acceptance to the best schools they can get into (GMAT, research on schools, visits, etc.). As in any profession or skill that one acquires, we usually only know when we are already in the learning process of how little we actually knew at first (and how much more we have to learn) – such that someone who has not underwent the process has not perceived its full importance. Best of luck to all you students abroad (at MBA programs and in general) and do not forget to come back! As the years go by, the task becomes more and more difficult. At some schools, the number of applicants who submitted this year (2008) even exceeded 3 times (!) the record numbers of the year before. So, about a year ago, when I thought about how I could build the strongest application, I turned to ARINGO. Very quickly I knew I had made the right decision. The professionalism in the guidance, the ability to highlight the uniqueness of each candidate, and the refusal to compromise on small details, led to the desired results. I was accepted to Wharton! Thanks for the amazing investment and rapid responsiveness to all my demands, and for the guidance along the whole way. When I went to fulfill the dream and learn at one of the best universities in the world, I decided to go through the process with the most professional support I could get, in order to get the maximum from my background and data. Today, faced with the dream decision – Chicago with a full scholarship vs. Stanford, I know that a lot is thanks to Laine who accompanied me throughout the process: the dedication, professionalism, availability and ability to “get into my head” in order to translate my experience into the best possible application. When I looked into studying abroad and an MBA, I did not know it was such an intense process, difficult and long. With your help the process has become a particularly interesting adventure in which I learned a lot about myself, the world of business, marketing and dealing with different cultures. I thank you for the support, listening and encouragement. I thank you for always staying realistic and down to earth, and not letting a disappointment, difficulty or frustration interfere with me on my way. I thank you especially for your attention, listening to comments and insights, and dedication. When I heard from two of my friends who were accepted to Stanford that they worked with you, I did not understand the need for a consulting firm. But when I started the process I realized the size and complexity of the task. I turned to ARINGO because I knew that it is better to succeed the first time around, and so I wanted to immediately hire the best firm. I applied to a large number of schools in the Top 10 in the first round, I was accepted to many more schools than I thought. ARINGO helped me summarize my life in a way that would interest the schools and distinguish me from other candidates. They did so with creativity, determination and undoubtedly succeeded in the test of the result. A dream came true thanks to Laine and the other ARINGO staff. Let’s start as expected from the end – I was accepted by my top choice – Stanford, and also to my second – Kellogg. All this I could not have done without the professional and intensive help from ARINGO. I started the whole process at a very late stage – September 2007 and in fact I squeezed the GMAT, TOEFL and all the applications into a very intense four months (while maintaining a demanding job…). Right at the beginning I realized that without serious help I could not stand up to the task. Right at the beginning I realized that without serious help I had no chance of completing in time and so I turned to ARINGO. The ARINGO method and the knowledge accumulated there helped me considerably in preparing the materials. Thanks to the editor, I received daily professional and personal support, a listening ear and advice in any field related to admission. The editor helped me not only in editing but also in thinking about the topics and directions I wanted to emphasize and strengthen. I want to thank ARINGO for the process I underwent, the help and support and professionalism, and especially Jenny who was always there at any hour, and who invested well beyond the job’s requirements. I came to ARINGO very skeptical. After all, why should they be able to help me write better essays than those I could write by myself? My doubts vanished already at the first meeting. The professionalism displayed by the professionals with whom I worked blew me away. Starting from the PDM, through the construction of a career path to writing essays, I worked to produce the best products from myself, and my editor always knew to point out the weak points, what should be removed, and what to emphasize. The period of building the application is long and not simple at all. The service I received from ARINGO helped make the unbearable bearable. I want to thank (again) Sari, who was always there to help, even at the more stressed and stressful moment (“Sari, I was assigned an interview in one week. You have to help me!” :)). And to the editor, who somehow managed to convince me to continue to work on the essays until they were really perfect. I really believe that I could not have done it without you. Beyond achieving the admission (with a significant scholarship), I learned from ARINGO about professionalism. Thoroughness, attention to small details and above all a staff always available for any problem that arises, all these are elements that make ARINGO a winning team. I have no doubt that working with ARINGO contributed significantly to getting accepted and I thank thank thank you very much. I start to learn this August at Berkeley. I know I would not have gotten there alone, and no less than with a 50% scholarship. ARINGO helped me submit the best application I could. In their merit, I’m starting an amazing phase in life. Many thanks for the tremendous help in the process. With your help I was able to apply to the best schools in parallel to my busy work schedule. Your ability to take the “giant” application process and turn it into something structured and clear is your real advantage and why I recommended and will recommend other people to work with ARINGO. My main thanks are directed to the editor with whom I worked around the clock in accordance with my crazy schedule in order for the process to end with success and who was always a source of advice and assistance in addressing the challenges that arose throughout the process. The application process is long, complicated, and has many subtleties. All this, and even more so if you are not a US citizen who is familiar with American culture. Your dedicated and professional helped me greatly in finding the entry ticket to studies at one of the best universities in the world. Thank you to the ARINGO staff, especially Margaret, Amit and Tali. Thanks to you I was accepted to several schools in the top 10 with significant scholarships, and most importantly Wharton – my goal from the start. You helped me in an extraordinary way – from strategy to editing. For me, one of the most significant advantages was the very structured framework that delivered me through the steps of application preparation in an orderly manner. And of course – the amazing responsiveness during the stressful days just before submission of the application. Many thanks for the excellent professional guidance. Thanks to you, the process transformed from an impossible challenge to hard work with sweet fruits at its end – I was accepted to Chicago with a full scholarship. The close guide granted me professional skills that will serve me beyond the application process. The most remarkable thing of all was your flexibility and commitment – in the most decisive moments I felt that the entire system is committed to help. I wanted to thank you for the wonderful service and especially the warm attention I received from you throughout the application process, while helping me deal with a number of complex strategic questions that arose during my application process. I was accepted to the program that has always been number one for me, and I am convinced that a lot of it is thanks to you. Thanks a lot for professional service, personal attention, and particularly the critical assistance in topics of strategy and planning. You made a tedious process enjoyable and challenging. I started with doubts and thanks to you I finished with a deliberation between Stanford, HBS and Wharton. We have come a long way together. The beginning was hard with a number of disappointments but you did not let me sink. I always felt the full confidence of an amazing team that only urged me to realize my potential. The end is of course very positive with two tremendous successes: Wharton and Chicago (with a full scholarship !!!). There is no doubt that you had a very significant part of this achievement. I just wanted to inform you that I received a positive answer from Duke with a $15,000 scholarship. Thank you for all the help, I believe it was truly significant in my process, please send my thanks to the editors as well. To the most professional, expert, organized, charming, and talented people I’ve worked with in the last year! Nothing I write could express my great appreciation for the ARINGO team. From the process of starting work, through preparation, strategy, schedules, essays, interviews, everything! I was accepted to LBS, INSEAD and HBS. At first I did not understand how I got waitlisted to Tuck but with your help I realized it was just yield management (there’s nothing these guys can’t answer!) And I’m on my way to Harvard. Dear ARINGO team – many thanks for the help, speed and efficiency and the smile that accompanied every step of the process. And for those of you who are unsure: there is nothing to debate, this is the first phase of your investment in yourself, before the really big investment called an MBA at a top ten. Just do it. Let’s start from the bottom line – I was accepted to the first place I applied- IMD. Beyond the test result, I was impressed that the work was planned and comprehensive. You demonstrated great knowledge, and ability to provide a quality solution at every part of the application. I am pleased to be the first ARINGO client at IMD. Thanks for your support throughout the whole process. I applied for the only school I wanted and got accepted. I hope you will continue to help applicants to improve their chances in Ivy League schools and place our footmarks as a nation. Thanks for all your help, especially the essays, and resume. The professionalism, quality and speed of response were amazing. Your targeted knowledge of acceptance to an MBA is unmatched and makes a huge difference. Thanks to you I was accepted to NYU and to the University of Chicago with a full scholarship. I was accepted to the only school to which I applied – INSEAD. As someone who comes from the academic world (Doctorate in Life Sciences), I merited to receive from ARINGO my first lessons in business administration – marketing myself. The professional staff is skilled and attentive, every question was answered immediately and indeed as I mentioned before there is a feeling of being an “only child”. From the first phase I was assigned a personal editor, skilled and dedicated who served as my contact for all questions and issues. Even in issues that were not her official responsibility I could turn to her and get an up to date answer quickly from the relevant staff member. This for me is a huge advantage – a combination of a professional team meshed well with a personal connection that saves unnecessary red tape. The whole process was important and extremely educational – I learned a new language, how to translate my resume and achievements (mostly academic) into business language. I admit that I complained here and there and felt resistance toward tedious rewriting and nuances, but you can’t argue with the results. In recent months I worked intensively on the application process to four leading programs in the US. As part of the process, I decided to use the services of the company ARINGO. Today, after I received 3 positive answers, among them a positive response from the school of my dreams – Kellogg, I can say wholeheartedly that the help of all the team at ARINGO significantly improved my application and has allowed me to fulfill a dream. ARINGO’s help amounted not only to professional help in applying to schools, but also in strengthening my confidence in my ability to fulfill the dream. I’d love to share with anyone my views on the subject and to help as much as possible. The process was frustrating, long and exhausting. I was often fed up with tips, plowing through the details and the pursuit of perfection. Now, at the end of the process, I can say, with all my heart, thank you. ARINGO’s practices, the dedication of the staff and their close guidance proved themselves beyond any doubt. Your remarkable work was the main factor that contributed to my acceptance at the school of my dreams – Kellogg. Beyond admission to school, I feel that working with ARINGO gave me valuable tools for self-marketing, which will be helpful in the future. I am sure that all future candidates who will work with you will enjoy the same high level of service, and I wish success to everyone. During the process I found that the perfect combination of uncompromising professionalism, flexibility and personal attention is actually the true secret of ARINGO. In our shared work I felt that all the company’s information and resources are allocated to a single purpose – to help me achieve my goals. Personal touches made all the difference, “you caught me” every time I almost gave up myself and made me to make the best of any small detail. The results did not disappoint (4 out of 4: Stanford, Tuck, MIT and Cornell including scholarships at some) and each time I was notified I quickly ran to update the “partners”. I would recommend to anyone who wants to increase his chances of being accepted to take advantage of your special experience. I heard a lot about the talented staff at ARINGO and about the useful assistance and guidance. However, only after the fact, after I finished my long and exhausting process – I can say that everything I’d heard is true and set in stone. The guidance, support, advice and assistance were the key to success in the admissions process. In my opinion, it is very important to work with ARINGO, this being in order to maximize the potential of each and every candidate. Thank you very much for the great help, personal attention and professional standards. I was accepted to three great schools (Kellogg, Ross, Fuqua) with significant scholarships and I could not have done it without you. I was not surprised to hear that the vast majority of those accepted with me worked with ARINGO. Let me start by saying that if you came to this site your situation is good! – Very good!!! Exactly a year ago I read these letters of recommendation, and like you now think, I thought that they were hidden advertisement letters (and pardon if I’m direct – also fabricated). SO if I’ll use some slang – so nope, it’s not! After years of working with ARINGO, with good moments and less good, I promise you that ARINGO can also help you fulfill a dream. I personally got into all the schools to which they applied, and I attribute a large part out of this to the guidance, support and aid of various ARINGO members. A very intense and difficult time period awaits you but with all my heart I can say that if you choose to work with ARINGO you will extract the maximum of your potential – sometimes to an extent you would never have dreamed of. In July 2005, I began the process of preparing the applications for universities, with the intention to submit to 5 leading institutions in the first round. Thanks to the close help from ARINGO, the rapid responsiveness and excellent professional capacity, I formulated a strategy and built a “plan of action” in a short time. Even when the interview invitations arrived – ARINGO help in preparing was excellent. In the end I was accepted to all the universities I wanted (Harvard, Wharton, MIT, Columbia, NYU), including scholarships at Columbia and NYU. There is nothing left to say but: Many thanks !!!!!!! It was long, tedious and sometimes discouraging, but ultimately we did what even we thought impossible and we were accepted, both of us, to four schools, including our favorite options. I only have 3 words to write about the work with you: professionalism, professionalism and professionalism. Success in the complex process of the application requires knowledge, experience, seriousness and above all professionalism. The choice to study an MBA in the US is a very significant decision – to leave the country, your friends and family and embark upon a new career. With such a significant decision and to maximize the possibilities, I decided to invest in and work with the best – I have no doubt that this was the right decision. I was accepted and I’m going to Stanford – my first priority, ARINGO you have a big part in this success. An important part of what is called application strategy is, in my opinion, knowing from whom to get help. I have no doubt that without ARINGO, I would not have the privilege today of deliberating between two schools that were only a few months ago a big dream for me. Thank you for everything. You demonstrated professionalism, expertise, speed and efficiency. Still, I think the biggest compliment is that I was not surprised by the high level even for a moment. Recommendations and praise poured in from every corner (which is why I insisted on working with you), and indeed, every word was true. Thank you very much for the effort, the investment and especially the professionalism which helped me achieve the goal to which I directed my life in recent years. The road was not easy, but the happiness upon receipt of positive answers, and the excitement today, still packing suitcases, are worth every penny and every minute. Two positive answers + one scholarship (sum of $ 20K) from the schools at the top of my list are irrefutable proof that … you just know the job. I worked with you in a partial manner (I applied late and there was no room …) and I was very sorry that I did not work with you entirely – it probably would have helped me get accepted to more places and save me a lot of heart palpitations. However, I think if I had not worked with you at all, I would not have been accepted anywhere (you helped me avoid some mistakes that would have crippled my application and not have given me a chance). I could not have done it without your help and dedication. Keep up the amazing work so that many candidates will also be accepted next year. A million thanks for your tremendous help in the registration process. Our joint effort bore fruit !!! I was admitted to Kellogg and to Chicago GSB. Friends who are considering to use the ARINGO services- (even those of you who are very confident), the competition in the admissions process is difficult, and success lies in the small details. The thorough working method, strategic thinking and knowledge of the systems of admissions from the inside – make ARINGO the market leader, and the right choice to for you.. I starting grasping in the dark and quickly with professional guidance I focused on the mission. Thanks to you I was accepted to the schools to which I aimed, London and Carnegie Mellon, with a $40,000 scholarship and a number of parameters decided, next year I’m your ambassador in London. Thank you very much for the effort and support, keep it up! ARINGO, thank you very much for all your help. I was accepted to Carnegie-Mellon, New York University and MIT, and I doubt I would have done if not for your help. The strategy we set together for the purposes of my career was winning, and at the end of the process I feel like this is really what I wanted to do all my life. Your willingness to work under crazy pressure, cruel and at unusual locations was amazing. You focused my message, you handled the weaknesses and emphasized the benefits. For anyone interested in the services of application help, before I turned to ARINGO I checked three other service providers and felt ARINGO is number one. Register promptly, it is not far from the day when you will need to submit an application just to work with ARINGO. There is no doubt that this is the right time to say thank you with all my heart. Even before I got a positive response I felt I had never worked with professionals like you, and that thanks to the work with you I submitted the best application I could. From the strategy stage through essays until preparation for interviews, I always felt that I was working with the best in the field. I believe that you have a big part in the fact that a guy like me who will only finished a BA in another 4 months was accepted to Stanford – the school that had been just a dream for me. Thank you for a professional skillful and inspirational work. I wish to thank all of the team for its willingness to walk an extra mile for me and handle tremendous workload under a very stringent time limitations. To all of you who consider an MBA in a top tier business school I wish to say that ARINGO’s service is absolutely vital and crucial to your success. My visit to the schools and my first hand interactions with admission officers only re-enforced the service’s cruciabiltiy. Every emphasis and guidance I’ve received from the admission personal, with whom I’ve met, were already given to me beforehand by the skillful ARINGO team members. It ranges from the crucial stage of crafting the overall application strategy and stretches to revealing points of reference that will enhance your application based on recent trends and up to date insights that enabled my application to stand out from the crowds in the eyes of admission officers in so many schools. Last week (Tuesday – Wednesday) the tension dropped. Many thanks to all the staff, I had no chance without you. The results were received – through the work with ARINGO I was accepted to all the schools to which I applied – Harvard, Stanford, Wharton and MIT. Great job! And thank you very much. I want to thank you for your contribution to my success of being accepted to INSEAD. Your experience and your support helped me improve the application, identify the most important points that will reflect who I am in the best manner, and highlight them in a way that will gain the attention of the members of the admissions committee. Your unique perspective, and your familiarity with the admission process opened my eyes lit up, both in preparing the application, and preparing for interviews, and far more worthwhile than the standard books such s “the MBA bible”. Of course, you are allowed to make public the content of this letter. Many thanks and happy new year. After floundering around and checking a number of professional consultants, I chose you – Aringo. A great choice! I was accepted to Wharton and Chicago thanks to hard work, very professional help, loving and close service, and especially great personal customization to me and my needs. It was not easy, and I think that on this rocky road I survived mostly thanks to your work with me, and the endless support I got, and I still get. Since I consider professional help as a critical component in the preparation of the applications, I would love to take part in spreading your good name publicly! Thank you, and thanks again. Maybe this is the time to thank you for the help with applications. I was accepted to Stanford, Wharton and Columbia!!! I’m really excited! Thank you for your excellent work !!! Your extensive knowledge about various universities, your excellence and personal support throughout all stages of the process, were the basis for success. I hope you will continue to help more people in the future to achieve their goals. Your ability to integrate knowledge, professionalism, honesty, openness to comments, and especially friendship is what make the service you provide a winner (as attested by the facts). Thank you for being there for me when I needed and more, and with your help I can realize a dream. It would be difficult to exaggerate in describing the professionalism and dedication that I received from you. No question was redundant and no hour was too late. Their close guidance throughout the process – from building strategy and schedules, through essays and the application itself, to preparing for interviews, proved itself. I was accepted to all the schools to which I applied (Chicago, Duke, Cornell, Tuck and Carnegie Mellon), and most of them with scholarships including one full scholarship. There is no way I would have achieved such results without your help. I am off to Wharton and a lot of that is due to you. I finally found someone who knows what an MBA is, knows what it takes to get there and was there himself. There is no substitute for strategic understanding that you include in the process you, for smart advice and endless guidancel. You were there all along, at any hour and under enormous time pressure. I had thought I had everything in life, until I got to the applications … Thank you for a great job that helped me get into Tuck, Duke, and Michigan, in part with scholarships. We worked hard, we debated, we thought, repaired, and … with your help I demonstrated better who I am and I “raised” strong applications. In less than two weeks I get on the plane that will lead me to the future I chose for myself. I’m glad for this opportunity to thank you for guidance, support, advice and encouragement in the realization of the dream. The combination of a team of professionals, each an expert in his field, with a navigator who knows how to aim and see the big picture, is definitely a winning combination, which allowed me to make a process that originally seemed threatening and incomprehensible, into a structured process, simple and workable. Thank you very much, you have helped me incredibly by giving advice but with a lot of attention to what I have to say. You are a professional group that knows how to give practical and constructive criticism but to accept criticism when it is given. Like they said above: results speak for themselves: I was accepted to 5 of 5 programs I signed up to for. It is rare to find, in any professional field, help as professional as you. Thank you for everything! In retrospect, one can certainly point out the fact that your focus on an MBA is unique and your ability to understand the heads of admissions committees is irreplaceable. You present things as they are, emphasizing the important stuff, and direct the management of the registration process in a manner that makes a huge difference. Thanks to your assistance I got where I am today. Your help was simply amazing, and I know that without it I would not be where I am. I was accepted to one of the schools I wanted most, with a full scholarship for two years, this after the year before, when I was helped by another consultant, I applied to several universities and rejected by them all. Thanks for everything, especially the directives concerning the essays. Thanks for all your help, especially the essays, resume and interview preparation. The professionalism, quality and speed of response were amazing. Your targeted knowledge of acceptance to an MBA is unmatched and makes a huge difference. Many thanks to you I was accepted to LBS. Thank you very much, Aringo team. With your help I was able to get the best out of myself in the essays, resumesB-connections, resume and interview. The help was great and I have no doubt that Aringo was a full partner in my success. Good for you !!! A word of thanks for the professional and high quality service at the level of Ivy League.